Earn money towards your book fee and for the parish! 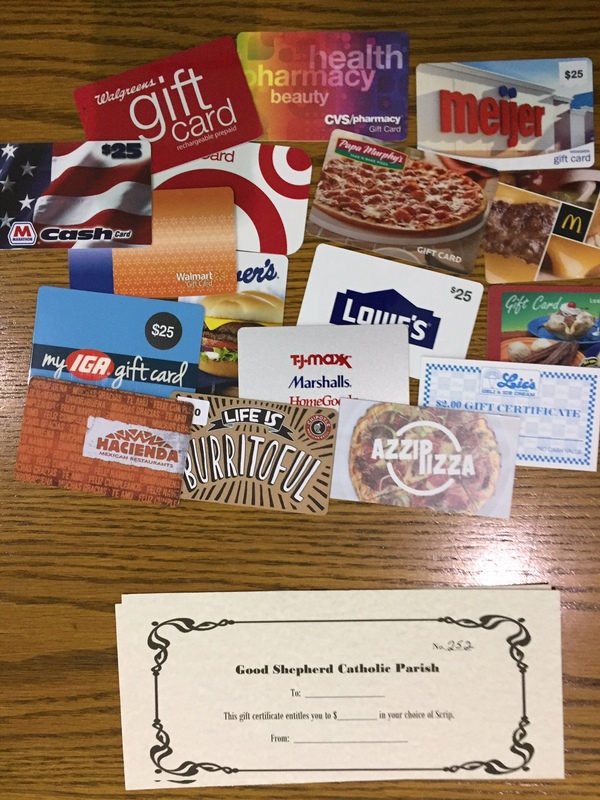 Scrip is an ongoing fundraiser that benefits the parish and school families directly. Good Shepherd buys gift cards at a discount and sells them at face value. The difference is the profit. School families who purchase scrip will receive a credit towards the next year's book and technology fees. The credit received is half of the profit earned for that family. This credit is good towards MHS fees as well. 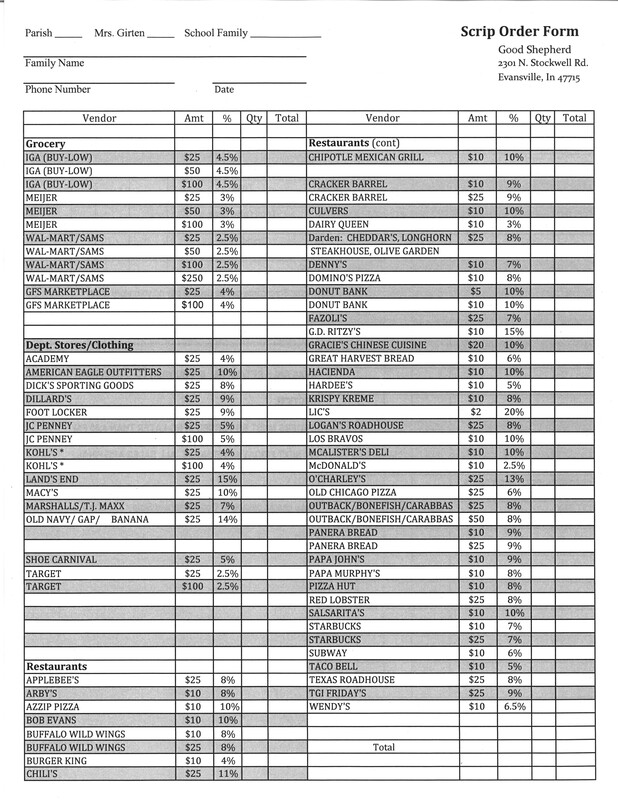 Check out the scrip website for more information, tutorials and the complete retailer list at www.shopwithscrip.com. 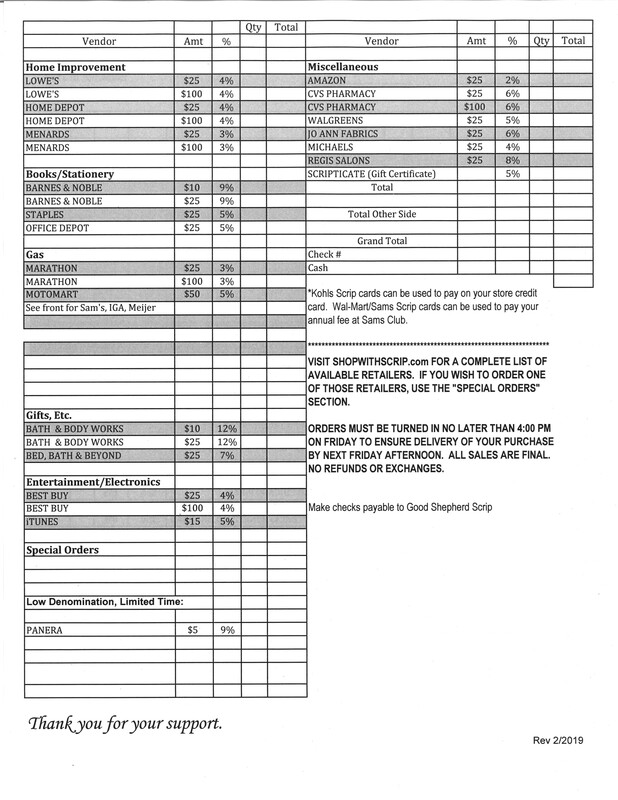 Scrip is available in the parish office and online. If you have any questions, please contact our scrip coordinator, Connie Sermersheim, at 812-431-8053, or kcsermie@gmail.com. New retailers in stock! Azzip Pizza and McAlister's Deli both in $10 increments! Earn money for your parish, and towards your school fees!